Happy November! 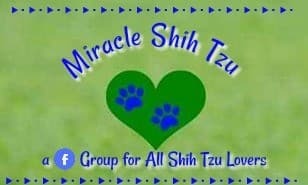 We're doing newsletters a little differently beginning with this Shih Tzu Newsletter November 2017. I am hopeful that they will be more informative and user friendly. 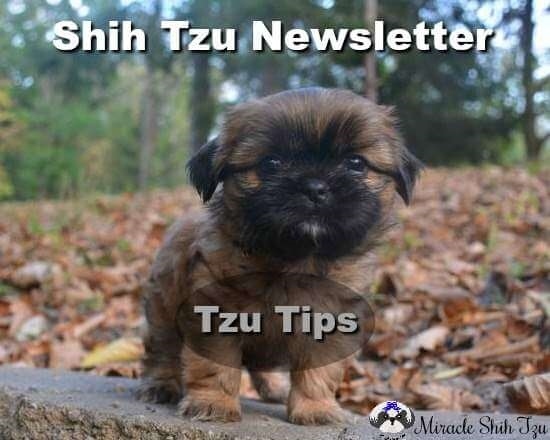 Each month, I will announce a new edition of our Tzu Tips to anyone who has subscribed to our newsletter. You will get your announcement delivered to your email. 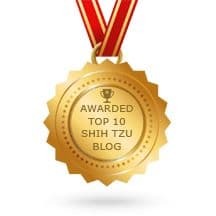 Once there, please click on the link to view your Tzu Tips in a browser and you will arrive at this page. Do you think you'd like to own an Emotional Support Animal? Do you even know what an Emotional Support animal is? I can tell you what they are not. They aren't service dogs and they are not the type of dogs that visit hospitals, nursing homes, and schools. 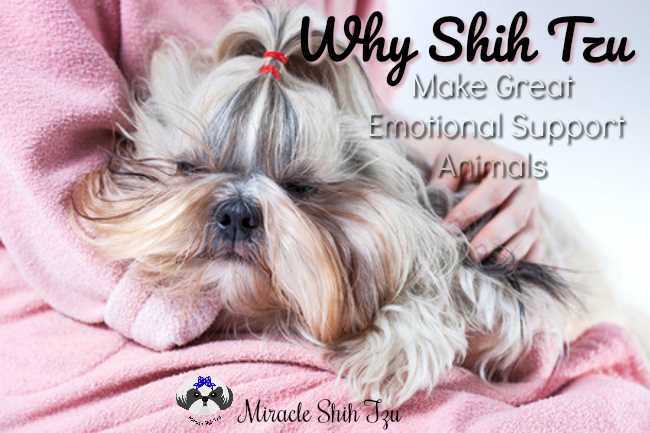 In this guest post, we'll explore what they are and how you can qualify if you think you'd like your Shih Tzu to be your Emotional Support Animal. 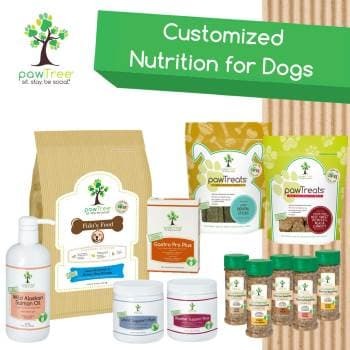 Once you begin grooming your Shih Tzu at home, you are bound to acquire quite a few supplies and tools -- clippers, hair dryer, brushes and combs, hair products and nail products and everything else. Where do you keep all of those necessities? 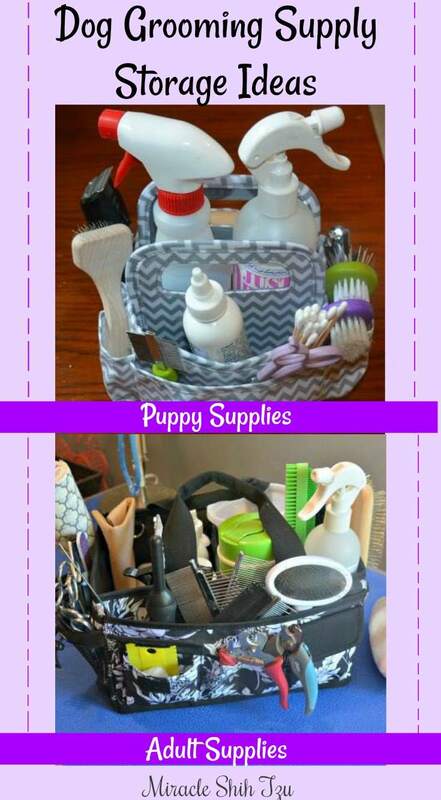 In this article, I will explore some storage solutions for your grooming and dog supplies. Did you know it is always a good idea to comb your dog's hair after you have brushed it? Brushes can get out many tangles and a few mats, but the right comb will finish the job. But, not all combs are alike. Read more about the combs you should buy. 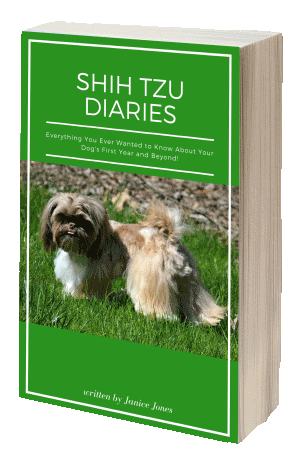 I'm putting the final touches on Shih Tzu Diaries, a 300 + page book all about the Shih Tzu breed and including care, grooming, training, safety, health, and more. 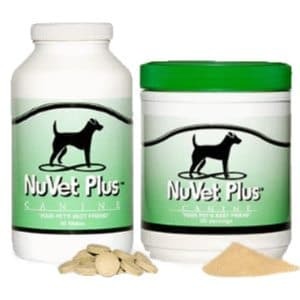 Read the Review to learn more. Please leave me a comment and let me know what you think so far. If there is a pressing topic that I should't forget, let me know that too. The book contents and a short sample can be downloaded also. I am working to publish the book in paperback and ebook formats. Love to hear from you, so send me a note. The contact information is at the bottom of the Review Page. Return often as we have some very pregnant girls who are likely to provide us when some Shih Tzu babies by mid-November. (Lucy and Dana) Check the homepage which will provide a link to the appropriate nursery. 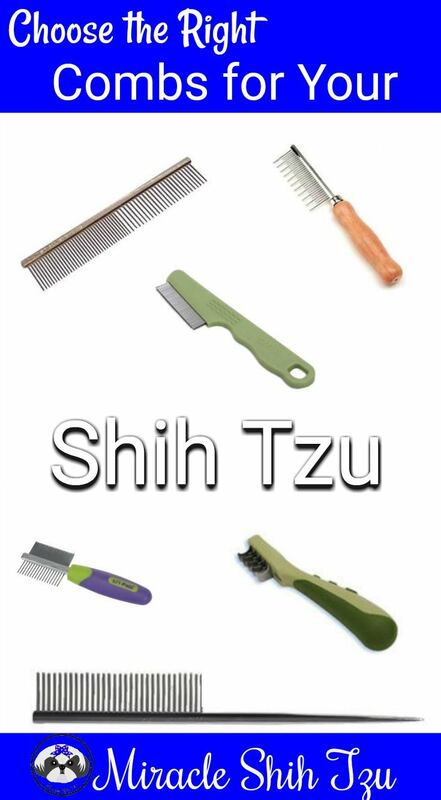 Have a Friend that Might Enjoy Tzu Tips? Send them a link to this page and ask them to sign up below. Remember, it is always free.